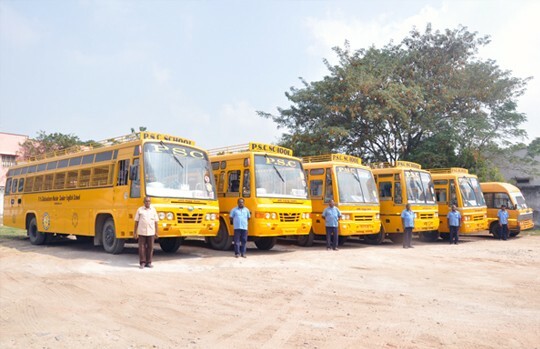 Our School management, KGS owns five buses and two vans to pick up the students from the town and various areas around the town to the school. A bus fare of Rs. 950 is collected from the students who board from town and Rs. 1250 from other areas.